Dr. (Mrs). Thangam Meganathan is the Chairperson of the Rajalakshmi Educational Trust. She has over 15 years of experience in the field of Educational Administration. 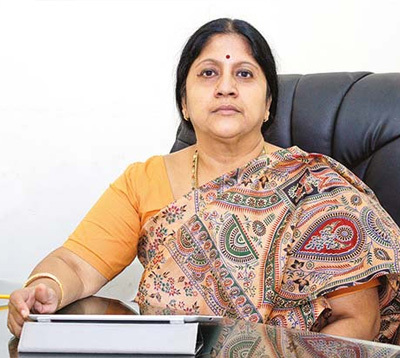 As Chairperson of the Rajalakshmi Group of Institutions, she has been ensuring quality of education in all the five institutions, viz., Rajalakshmi Engineering College, Rajalakshmi Institute of Technology, Rajalakshmi College of Nursing, Rajalakshmi College of Education and Rajalaksmi Vidhyashram. The institutions offer merit scholarships to deserving students and have been organizing several programmes to promote science education at school level and career guidance programmes for the school students. Dr. Thangam Meganathan pursued her Graduate and Post Graduate program in Public Administration at the Madras Christian College, Chennai. Her research interests continued and in 2005, she received Ph.D. from University of Madras for her thesis on ‘Technical Education in Tamil Nadu: A Study’. Her commitment to ensure quality teaching in institutions of higher learning prompted her to pursue the Cambridge International Diploma for Teachers and Trainers (CIDTT) in 2006. Mr.Satish Kumar, Former Managing Director, Henkel India Ltd is an MBA from the Indian Institute of Management, Ahmedabad and an alumni of The Columbia University through their senior executive program. He has over 25 years experience in the Industry. His accomplishments include start up business for Henkel in India beginning with the implementation of their production facilities, developing a National Sales and Distribution Network. He was awarded the Indira Super Achiever Award for the year 2004 and Bhartiya Shiromani Puraskar Award for the year 2005. He is in the Management Committee of number of bodies like Southern India Chamber of Commerce, Confederation of Indian Industry, The Madras Chamber of Commerce & Industry, India Soaps and Toiletries Makers Association. He is the Past President of Madras Management Association (MMA) and Indo – German Chamber of Commerce. He is in the Corporate Advisory Board of School of Management in SRM University, Advisory Board of the Rajagiri School of Management. 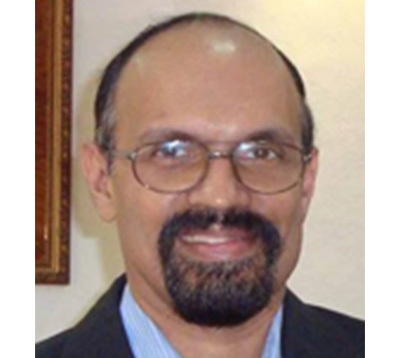 Currently he is the Chief Mentor, Rajalakshmi School of Business. K. Jayaramakrishnan, fondly called as JRK is currently a Consultant in TCS after superannuating from TCS as Vice President, Head – Global Alliances. He is also a Director of Rajalakshmi Institutions. Jayaramakrishnan is a post graduate in Management with specialization in Systems and Marketing from the Bajaj Institute of Management, Mumbai. With around 35 years in the IT Industry, he has been with Tata Consultancy Services for the past 25 years holding various positions both in India and abroad. Client Relationship Manager for American Express, Time Warner, Target, Nasdaq. Regional Manager at Maryland, USA. Vice President, India Business unit for 7 years, covering Indian Financial Institution, Corporates and Government customers. Vice President – Global Alliances for 3 years. Currently, representing in the Board of 3 online companies (TCS joint venture with Government of Maharashtra, MP and AP) and 5 IITs where TCS has invested. He is also in the board and advisory council member of Kanchi University, Sri Chandrasekarendra Saraswathi Viswa Maha Vidyalaya (SCSVMV). 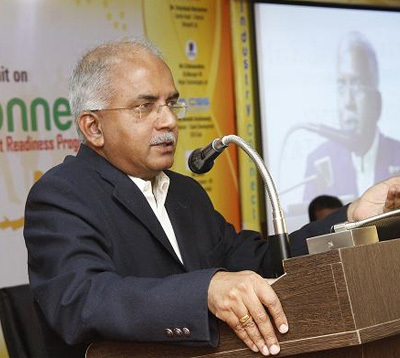 Jayaramakrishnan was the Chairman – Convener for the Confederation of Indian Industry (CII) Task Force on Industry – Institute – Interaction from 2004 to 2009. 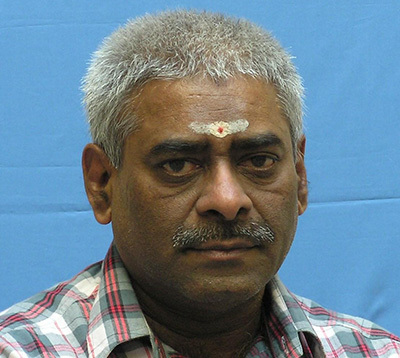 He was the Chairman of Computer Society of India, Chennai Chapter – 2008. He was the member of the IT Task Force of the Government of Gujarat and e- Governance Standards Committee of Government of Tamil Nadu. He was the convenor for the ICT Academy of Tamilnadu (A Consortium of Govt. of India, Govt. of Tamilnadu & CII). Ananthanarayanan Subramanian (Ananth) is the Co-Founder & CEO of Digipropel Corp, a Digital Transformation company headquartered in the Bay Area, USA. He is an experienced Strategic & Board Level Business Management professional with very successful track record in international transformational and innovation oriented strategic business incubation & growth. Mr. Ananth has 29+ years of experience in global marquee organizations spanning Management Consulting (erstwhile Indian Affiliate of E&Y, TATA Strategy Consulting), Financial Services (erstwhile Investment Banking Indian subsidiary of JP Morgan & Indian venture of Moody’s) and the last 17+ years in business solutions centric IT with HCL Technologies, Hitachi Solutions India/ America Group and is presently based in San Ramon, East Bay Area, USA. With distinguished titles such as the Past Chairman & CEO of Hitachi Solutions India, Member of the Board – Hitachi Solutions America, Past Board Member – Hitachi Solutions Philippines, Thailand and Singapore. and Past Vice President – Microsoft Business at HCL technologies, Mr. Ananth has had roles starting from ground level execution transforming into senior leadership and board level responsibilities and experience in execution across Global markets. He has been widely recognized for operational excellence and innovative business approaches and managing multinational workforce. Mr. Ananth has a penchant towards business innovation through technology, which has earned him laurels such as “Elite 100” – The 100 best brains in HCL Technologies in 2010. He was responsible for creating the Hitachi Solutions Offshore GDC for Global Microsoft Solutions including Dynamics (AX and CRM), Share Point, BI, Managing outsourcing work from Hitachi Solutions Japan across technologies, Vertical Solution Development. Enabling / leading growth to a team size of 700+ across India in less than 4 years in a sustainable high performance and quality oriented global delivery organization with balanced diversity and pioneering practice leading to unique academic incubation program in Engineering and Management programs for great impact to organization are eminent feather’s in Mr. Ananth’s cap. Mr.G.D.Sharma is a Gold Medallist of the 1979 Batch from Tata Institute of Social Sciences, Mumbai. He was conferred the ITM University Leadership Award for Professional Excellence. He is currently an independent HR & Organisation Consultant in Chennai. With over 35 year’s experience across several industry verticals, his last corporate role was as President-HR at BGR Energy Systems Ltd., and previous to that as VP & Head-HR at Larsen &Toubro-ECC Division. He was also Member on the Board of L&T Infrasatructure Operating Company during his stint at L&T. He has held several positions in leading management and industry bodies like CII, MMA, EFSI and Chambers of Commerce & Industry at the National & State levels. He is currently on the Panel of Mentors at the Centre for Incubation, Innovation & Entrepreneurship (CIIE), an IIM-Ahmedabad initiative, for helping start-up ventures. He is a Master Trainer with a high degree of conceptual clarity, and is a powerful & passionate communicator. He is a motivational speaker appealing to people across age and career boundaries. He is an Advisor on the Academic Council and/or Board of Studies of several leading Educational Institutions across Tamil Nadu. 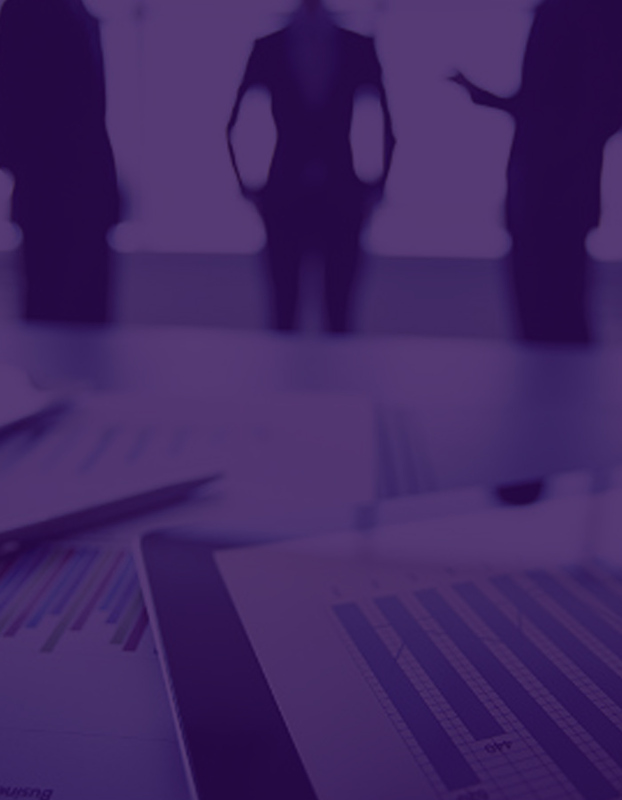 He is also an Associate & Advisor with several leading Management Consulting firms in Chennai. He is a Visiting Faculty in IFMR, LIBA, SSN School of Management & BIM-Trichy, teaching International Human Resources Management & Strategic HR Management. Mr. Sharma also serves on the Selection Panel for BIM-Trichy. Mr.Sharma has widely travelled across the Globe. His professional interests range from Consulting, Training, Teaching & Mentoring to Writing on HR & Management, and doing Talk Shows on TV and Radio. Dr. L. S. Ganesh (LSG), a 1977 pass out in Mechanical Engineering from the Birla Institute of Technology and Science (BITS) at Pilani, Rajasthan. In 1979, he received the M. Tech degree in Maintenance Engineering and Management and a Merit Prize from the Indian Institute of Technology (IIT), Madras. During 1980-84, he pursued the doctoral research programme in the Industrial Engineering and Management Faculty at IIT Madras. He worked as an Assistant Professor in the Education Management Sector at the Indian Institute of Management (IIM), Bangalore, during 1986-87. Since 1987, he worked in the Industrial Engineering and Management Faculty at IIT Madras, as Assistant Professor till 1993, then as Associate Professor till December 1996, and then as Professor until April 2004, when the Department of Management Studies was established in the Institute. Later, he served as the Head of the Department of Management Studies at IIT Madras from July 2004 till July 2008. In this role, he coordinated the location and development of the complete academic, laboratory, office and utilities infrastructure for the new premises of the Department. He also coordinated the establishment of strategic academic relationships through MoUs between IIT Madras and leading national and multinational institutions (Indian School of Business at Hyderabad; Universities of Mannheim, Passau, and Bremen in Germany; Management Center at Innsbruck in Austria; State University of New York, Binghamton) and business organizations (Caterpillar; LIC of India; @Road Software; SCOPE International). He strongly believes that India and Indians have exceptional capabilities that require well directed and intensely focused organizational efforts to enable them to fully flow and result in inspiring, peerless and timeless achievements. Key member of some national-level projects sponsored by ISRO and MHRD, and also of international projects concerning Integrated Coastal Zone Management sponsored by the World Bank and the UNDP. Served as the Secretary and Vice President of the Society of Operations Management, and as a Vice President of the Product Development Management Association. Served as a member of the Academic Advisory Council of the Project Management Institute (India) and of the Advisory Board of The Chennai Fund, an initiative of The indus Entrepreneurs (TIE). Key members of the Perspective Planning Exercise (in 1990-91) and the Strategic Planning Exercise (in 1996-99) of IIT Madras. Coordinator of the Strategic Planning Exercise (2011-2020) in IIT Madras. Served as the Advisor (Cultural) of the Gymkhana, as Professor-in-charge of Human Resources Development (HRD) in the Institute and also the Cell for Professional Ethics and Human Values (C-PEHV). Bharathan Kandaswamy is the Executive Director of Kavithalayaa Productions Pvt. Ltd. He is one of the finest minds in the Indian entertainment arena. Bharathan plays a challenging and multi-layered leadership role at the company where he is responsible for the development, strategy and management of its varied interests and associate entities. He has played a key role in the growth and maturing of Kavithalayaa as a corporate entity, ably pivoting it through the challenging times the industry has been through. His innovation and creativity in developing the Japanese and Korean markets for Indian films which resulted in the phenomenal success of the film “MUTHU–Dancing Maharaja’ deserves special mention. An alumnus of Indian Institute of Management – Ahmedabad (IIMA), Bharathan began his career with Ashok Leyland Ltd. in Chennai as Senior Executive – Business Planning & Development. During his eight year stint, he developed computer-based project management and financial appraisal systems for the company. Post Ashok Leyland, Bharathan joined Kavithalayaa serving the company in various leadership roles for the past 18 years. Bharathan’s in-depth knowledge and understanding of the entertainment industry has led to him being a sought after advisor. He was Business Advisor to US-based Silicon Image Inc. engaged in the design and development of High Definition Multimedia Interface (HDMI), a content protection technology for multimedia content. He also served as an Advisor to Multimedia Development Corporation – a Government of Malaysia undertaking, on E-village, an entertainment and multimedia initiative project. In his individual capacity, he advises many companies in the areas of strategy, leadership and Innovation. 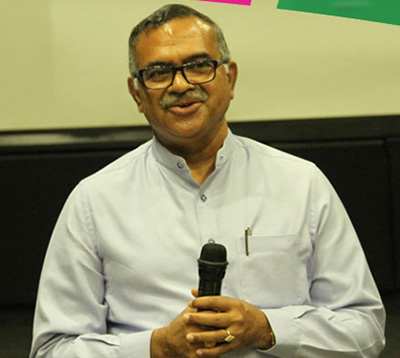 Bharathan is a Visiting faculty at IIM-Ahmedabad and played a key role in designing India’s first management course on film industry for the institute. Mr Bharathan is also engaged in writing Case-studies on the Indian film industry, highlighting the business challenges in a creative industry. He regularly speaks at the events of CII (Confederation of Indian Industry), Indo-American Chamber of Commerce and Indo-Japan Chamber of Commerce & Industry, on topics related to the entertainment sector. He is currently on the Governing Council of Indo-Japan Chamber of Commerce & Industry and has participated in two industrial delegations to Japan, representing the sector. Bharathan was an invited speaker at the international seminar “Hollywood meets Bollywood” hosted by the University of Southern California Annenberg School of Communication in collaboration with American India Foundation (AIF) in 2003. He was a member of the FICCI Entertainment delegation to Japan and the USA in 2001 as well as the CII delegation to the American Film Market 2003 (AFMA) Santa Monica, California besides presenting a paper at the first International Advisory Board Meeting in Malaysia on Globalization of Entertainment industry in 2001.